What an amazing mission and how wonderful to rescue these pups and give them another chance. I'm always so moved by everyone's efforts and look forward to becoming more involved in rescue efforts as well. Thank you for sharing. I don't use many products in general that would be tested on animals but I will be more diligent in doing research on any products that I do purchase. Wonderful - wonderful.. what a great thing - thank you for sharing this. WOOF! My heart is warm and I am smiling- this cause (and you sharing it) has made my day! Thanks! And hooray for the beagles! Product testing on animals... another of my hot button issues. I love seeing these dogs FREE! Great post. What a wonderful post, and such great news! This is such an important topic, and one our society is all to willing to sweep under the rug. Thank you for that! Wooof-hoo, I read about the little puppers the other day and was so excited to hear that they were rescued. Very moving story and pictures. How could anyone look at those beautiful faces and not want to get these dogs out of the lab and into a proper home? 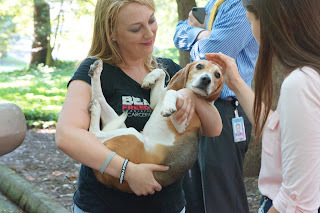 Great job Beagle Freedom Project. Nice story. Great dogs and they deserve to live a happy life. Hope they find wonderful homes! 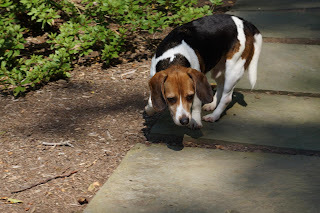 BEAGLE FREEDOM PROJECT is a grass roots non-profit that runs on donations only. Please consider donating -no amount too small ! "LIKE" Their Facebook page ! We need Veterinarians, but they are expensive. 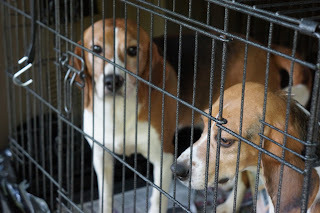 Especially these little beagles coming out of a lab, there are health issues they probably have and need to be dealt with. The beagles also need, beds, toys, treats, Food and so many other things. The Fosters don't pay for most of these things as do the beagle adopters'. So who pays? donations and more donations and the love from your heart for the rescued souls, the Freedom Beagles. Wow, thanks for the information about this effort! That's a heckuva lotta beagles every year. Thanks for sharing! Off to tweet it!